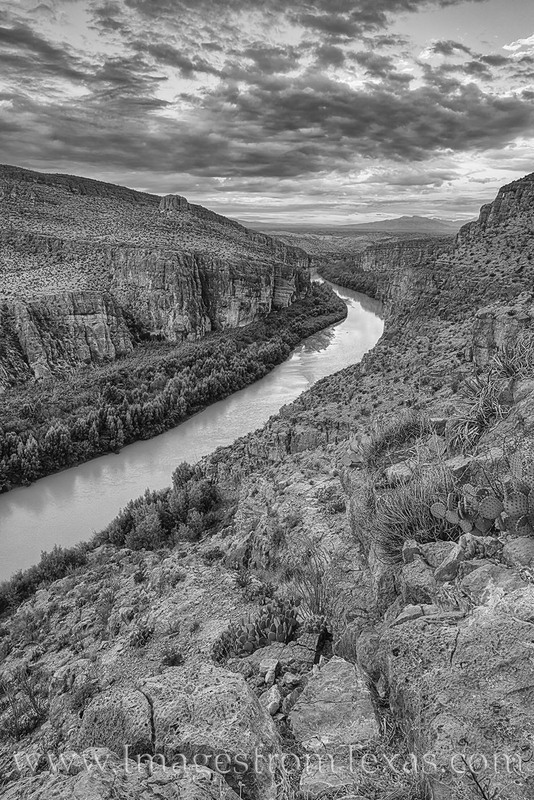 From Hot Springs Canyon in the southeast side of the Chisos Mountains in Big Bend National Park, the Rio Grande flows through the rocky cliffs in this black and white photograph. The trail is about 3 miles each way, and on the far end are the famous hot springs. But from high above the canyon, the view is majestic and peaceful on this October morning.